As you know changing the colour of wall coverings will change the colour and atmosphere of a room to quite remarkable degree. This is clearly shown in the picture today which uses yesterday’s wallpaper but with a much lighter, more pastel, colour. The colour is a 1960s one, from the 1960’s British Standard and is called buttermilk. 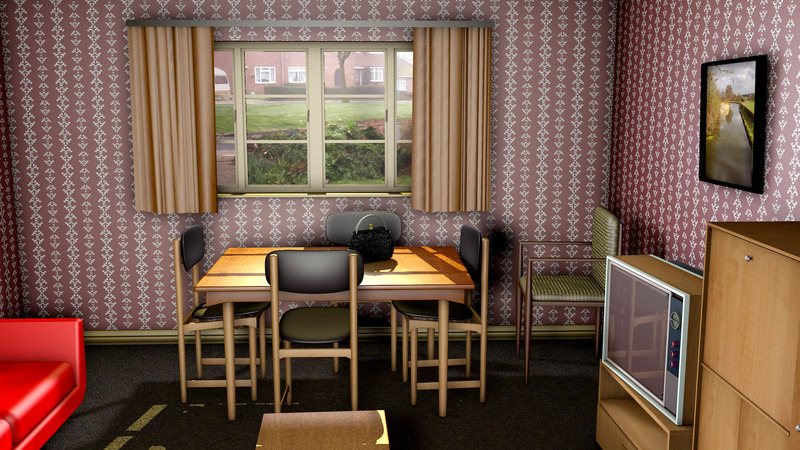 I have had to make some changes to the colours of some of the items of furniture, the window woodwork and the curtains but that aside the room is the same room as I used yesterday. The changing of the wall colour does make quite a difference and it gives the room, unfortunately, a much more modern look and feel which was anything but intended. 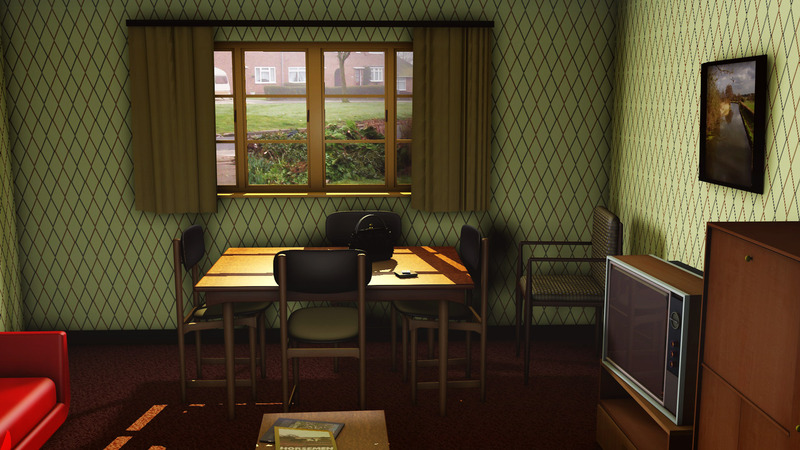 Rooms in the 1960s were, in general, much darker and much more sombre than are usually portrayed, even in the latter half of the 1960s. However, this room is not out of keeping with that period and I think that this represents perhaps a more adventurous but definitely a mid-century feel. 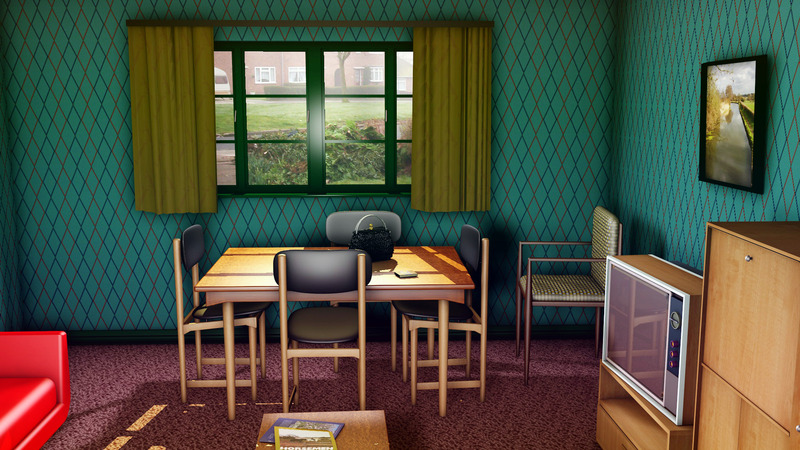 In the 1960s I was, believe it or not, a young man and perhaps this is the sort of room that I might have created. Continuing the theme of 1960s wall coverings, this is a very simple yet very evocative wallpaper which gives the room a very 1960s look. 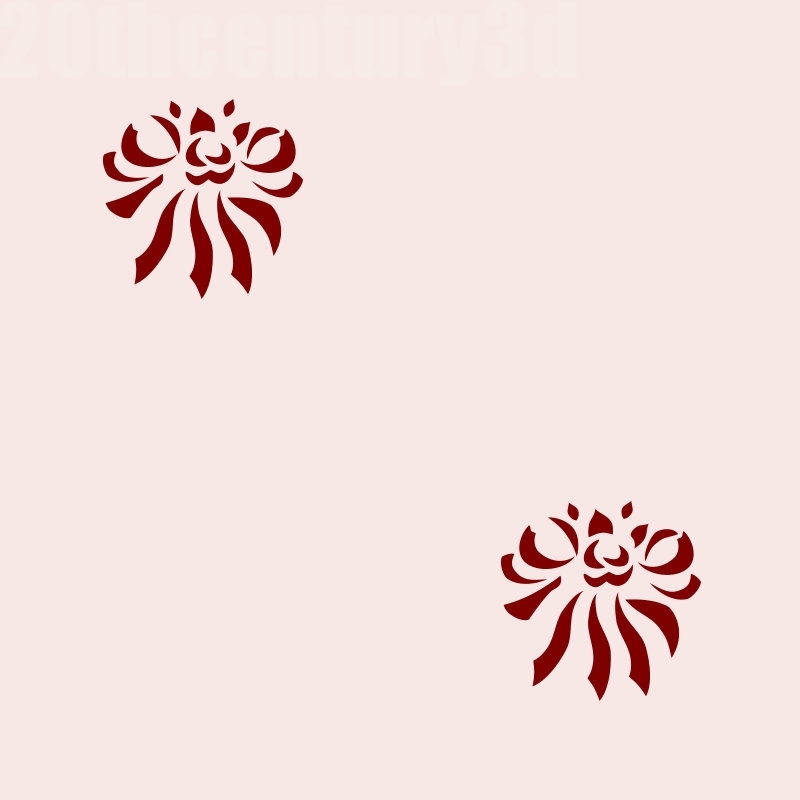 Wallpapers like this were very common in the first half of the 1960s and represented a return to quite simplistic patterns. Available in a variety of colours, I have shown just the green colour although this pattern could be produced in more or less any variation. Made into lighter, more pastel colours, it would give the room a quite different look which I will try and show tomorrow. 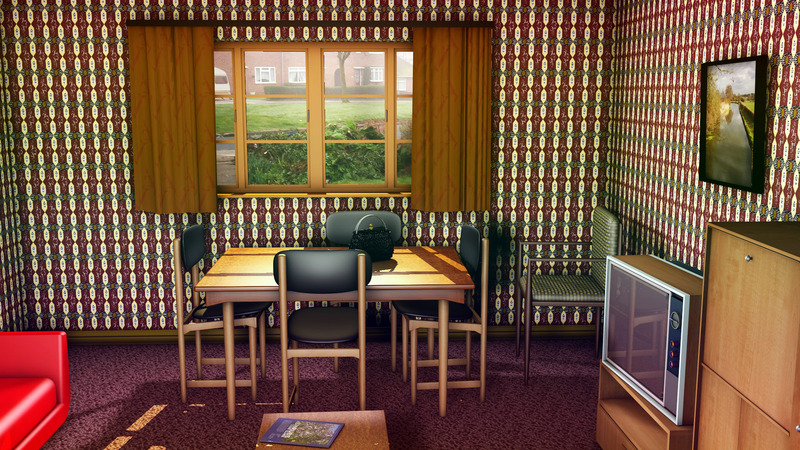 Following on from yesterday’s pattern we have another 1960s inspired wall covering which is shown once again in the 1960s project room. The pattern is very heavily influenced by the type of detail-rich patterns that were appearing at the end of the 1950s and into the 1960s. Some may question the use of such a heavily patterned paper on all the walls but this would have been the way that the room would have been decorated at that time. The more modern idea of having a feature paper and then having the remaining walls plain was a decorating idea that developed during the 1960s decade but was really only applied towards the end of the decade and into the following one. Some of the rooms, particularly in the early 1960s, were so rich in their decoration that they would almost take your breath away as you entered. Staying with wallpaper today, we have a very traditional 1960’s pattern that has been reproduced and used many times since. 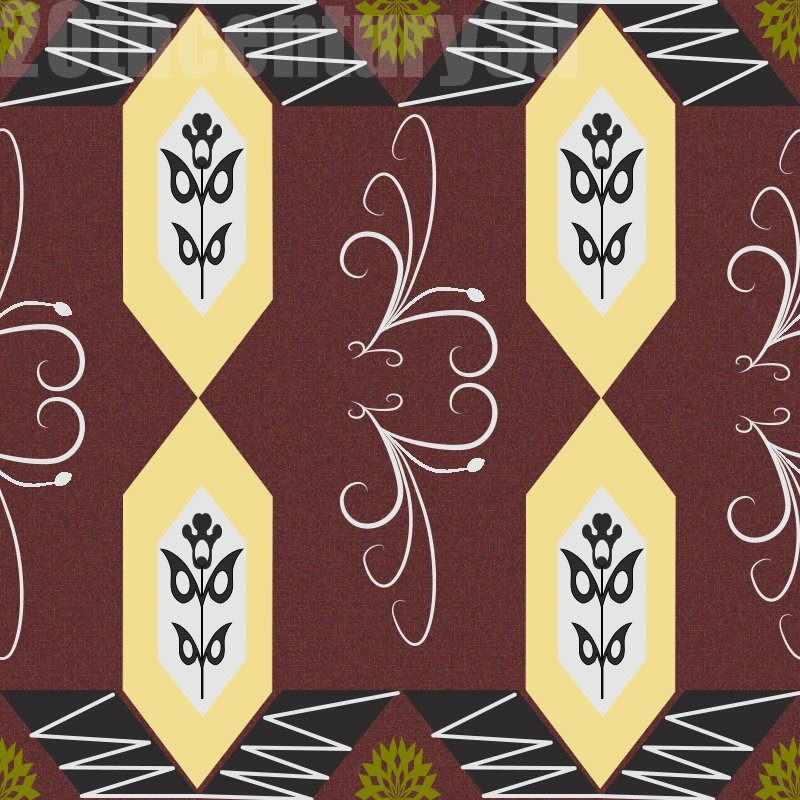 There are countless variations of this pattern and I have used a very simple one which I think has a definite charm and looks good on all of the walls in the 1960’s house. I know this is a rather large image but it does look good at this size and if you want to see it full size then I think you will need to look at it on my Flickr website the address of which is here. Today, as a refreshing change from fashion, we have a nice and very traditional, mid-century style of wallpaper to look at. 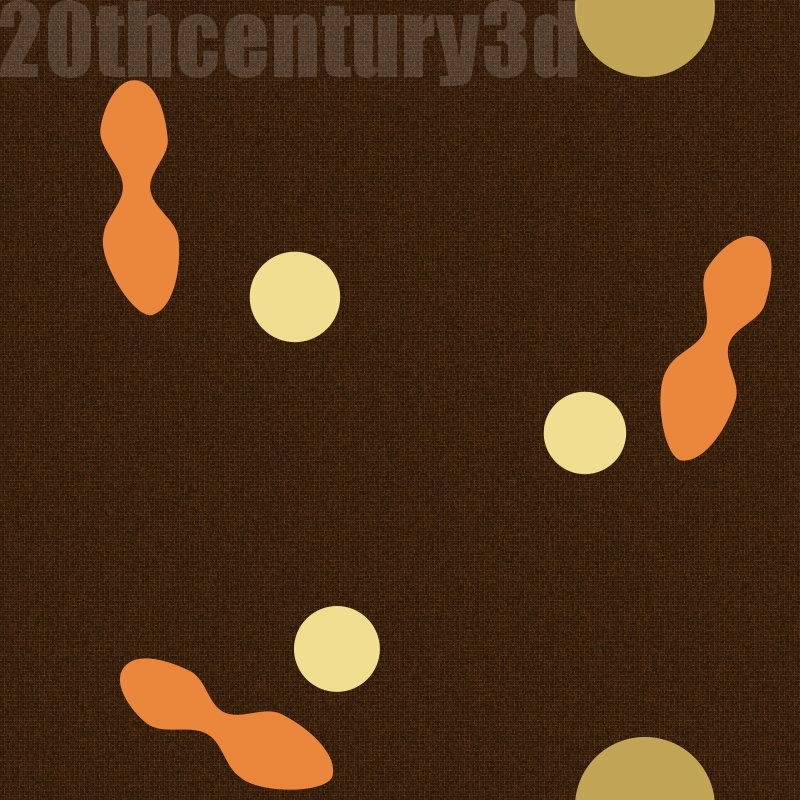 This wallpaper was created to resemble those wallpapers available in the middle to late 1950s which would also have been available well into the next decade. This is, let us say, the house of an older and more conservative family and so the fashions of the previous decade are carried forward and the date would be the early years of the 1960s. In fact, this is what my own house looked like at that time. Despite what people think, most of the houses in the 1960s had very easy-on-the-eye decorations, at least up to the middle of the decade. 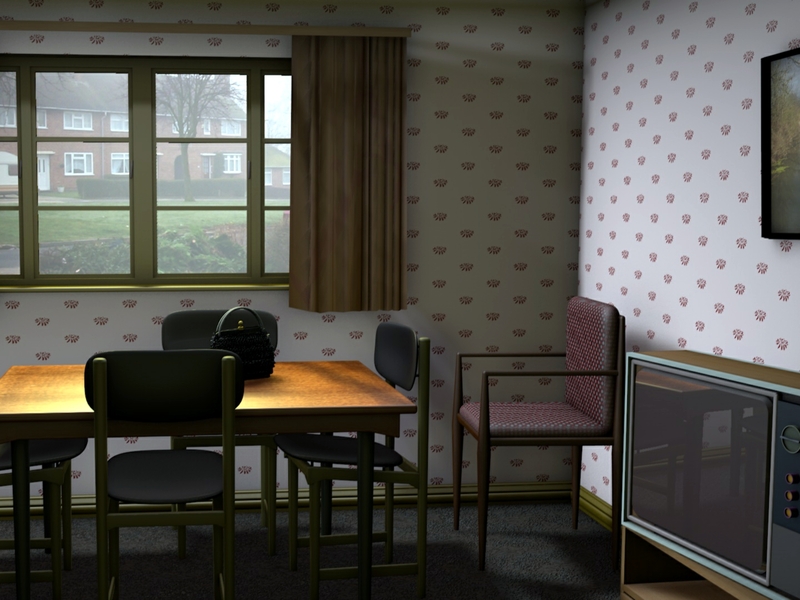 The set is the 1960s room project and it was created from scratch and is rendered, for a change, in Cinema 4D. In complete contrast to yesterday’s calm and a restful image, what could be more different than dancing at the Asian Court. 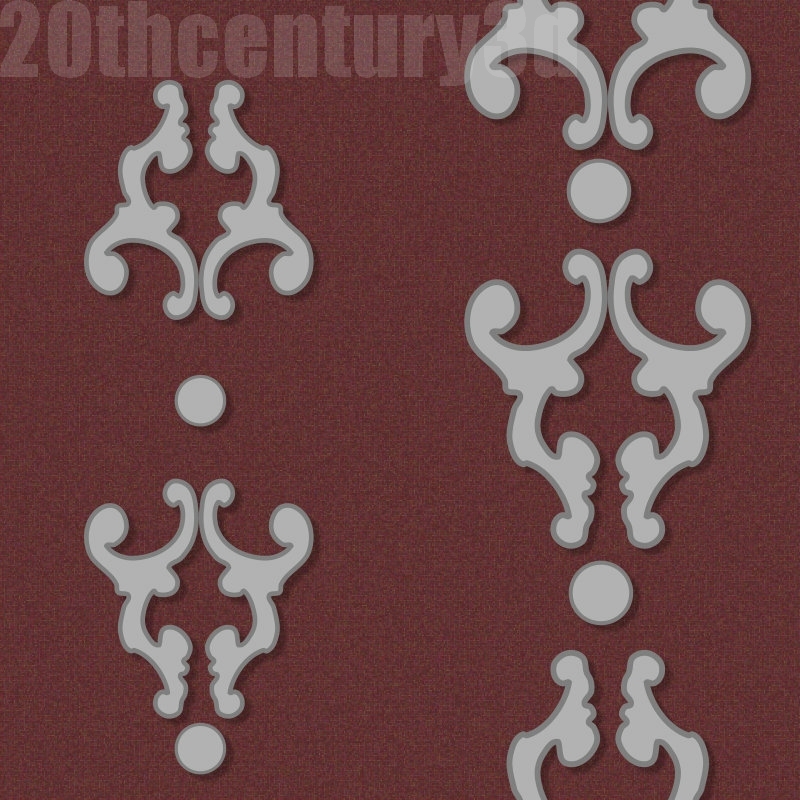 The pattern is the same pattern, xar176, but this time used in the small on a dress and the colour has been more saturated. The set for this is the Asian Court by Jack Tomlin and the figure is Genesis 2 while the dress is the Paige dress and the whole was created and rendered in Daz Studio. This is a nice restful scene as opposed to a busy seaside scene which shows off a really excellent fabric that I created recently. The scene is a room in a house and Helen is showing off the material on her top. 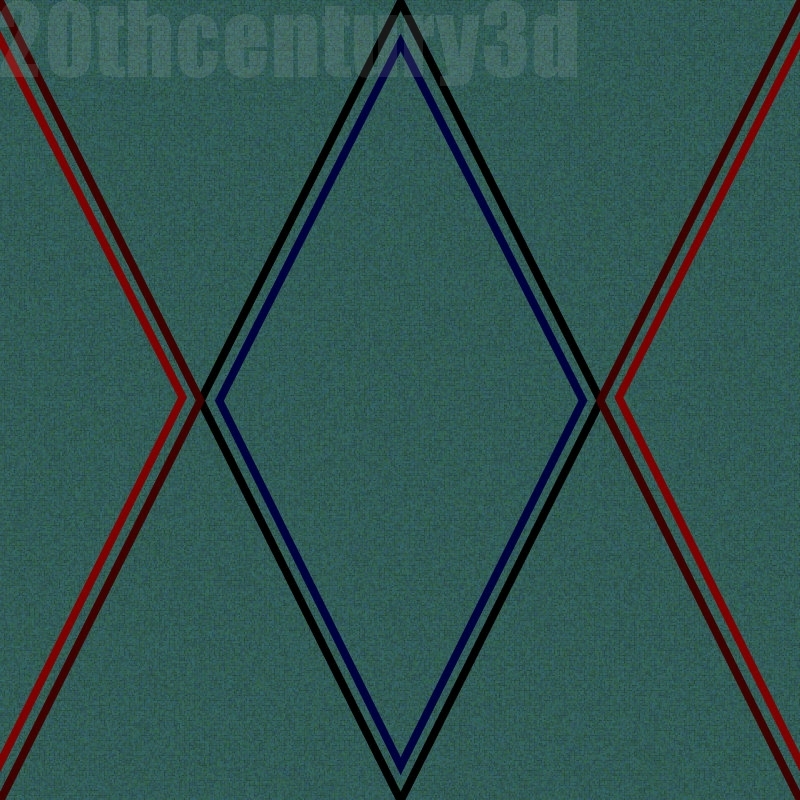 This is not really a mid-century pattern and so I have been able to show it in a modern setting. 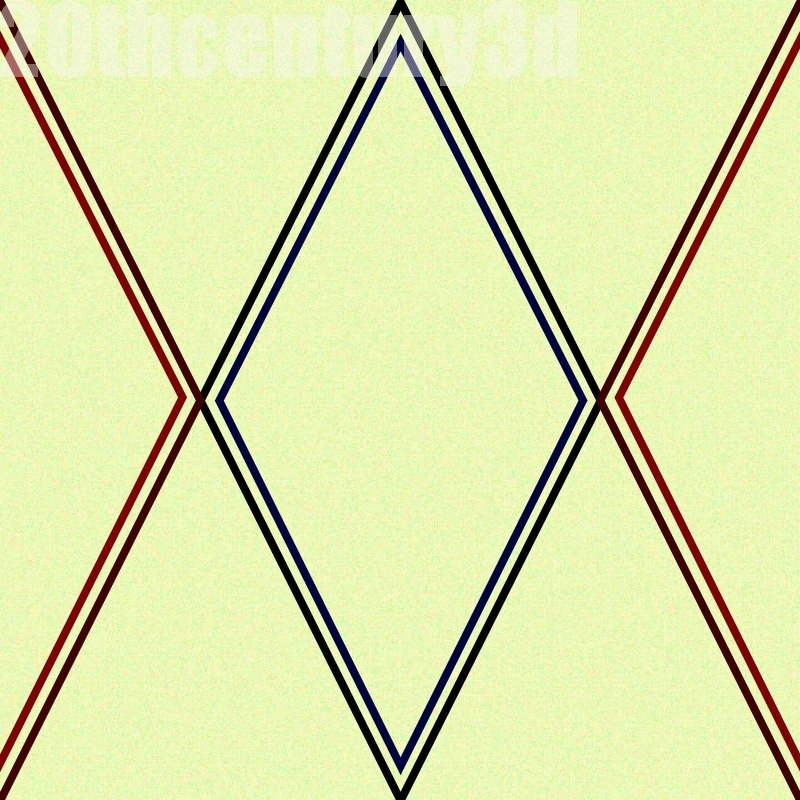 Patterns like this would certainly have been available and I have seen similar ones in the 1950s and 60s for the motifs used, of course, are ones that have been in use for a long period of time. The room is one that I created, in fact a studio set, the model is Helen, a Genesis2 figure, and the clothes are probably the standard ones that come with Genesis. It was created and rendered in Daz.